My name is David, and I am a nuisance wildlife removal expert. This website is a resource to help educate people about wild animals, and some of the problems that wildlife can cause. This website contains many guides to help you solve your critter problem. I have also written several information articles about the most common nuisance wildlife species, just click your animal. Wildlife removal is not easy. It is also fraught with health and safety risks. Most wildlife control situations are significantly more complex than they may seem. It is also illegal in most US states for non-licensed persons to trap or relocate wild animals. In, not all, but many cases, critter removal is not a do-it-yourself job. HUMANE HINTS: Sometimes you don't need to remove wildlife at all! When possible, use exclusion, rather than trapping, techniques. Always be aware that an animal in your attic likely has a nest of babies inside. NEVER attempt to poison a mammal. Set traps in shade, and never leave an animal in a trap for more than a few hours. If you are uneducated, please enlist the help of a professional. 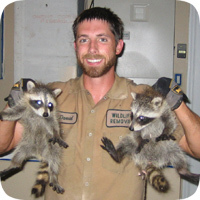 If you wish to hire professional help, I have complied a directory of expert wildlife removal specialists, covering over 500 different US cities and towns. I have spent significant time talking to these companies, and have even directly trained many of them, and believe that the companies in this directory are superior to most of the companies you may find in your own search. Just click your state on the below map, and you will find a good wildlife expert in your area. Updated weekly, current 2019. If you have any additional questions about your wildlife problem, feel free to email me, or go ahead and click the above map, and talk to the person I have listed in your city or town. They will surely be able to answer your wildlife questions, and if you wish, they can give you a price quote and quickly solve your problem - usually same-day or next-day. I have personally trained many of the operators on this list. However, since I do list companies in over 500 US cities and towns, I of course did not train them all. However, I have spoken with all of them, and I do know that they are all dedicated wildlife control specialists, not big-name pest control companies. I have listed them for many years, and have not heard any complaints about their services - but I certainly have heard many compliments! However, if you should ever have a bad experience with any of the wildlife operators that I recommend, let me know, so that I can talk to them and perhaps revise my listings to someone better. Just give them a call, talk to them, and see for yourself. 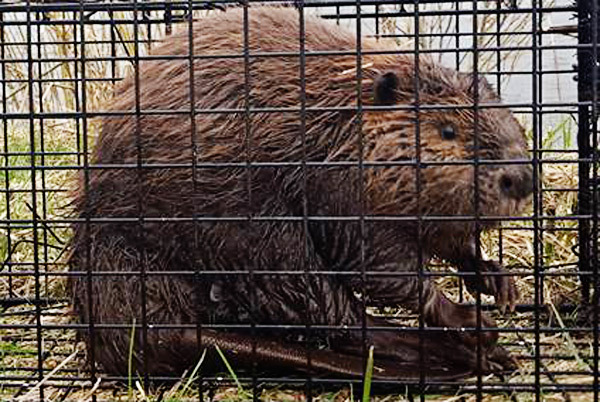 This month's featured wildlife removal education article: How to Get Rid of Beavers? Prevention is the best way for getting rid of these animals. Wire mesh fences can also be installed around your property especially around foundations of trees as this will keep them away from gnawing. For this you should better get in touch with an expert mesh installation service provider. They can help you in the best possible manner. Read more aboutHow to Get Rid of Beavers? here.